September 2018 - Franco Mirabelli Design Inc. The wide cropped pant will become a mainstay in your wardrobe this fall. The right length hoovers from right at your ankle bone to a few inches above it. They can be worn in perfectly tailored fabrics, as shown here, or in soft flowy jerseys for off-duty days. The perfect width will depend on your body shape and height. But this season, all shapes are available, from the modestly full-cut to a balloon-shape. We think it’s the first pant of choice for the season, since you can wear it with any shoe, from sneakers to loafers to chunky heels to platforms. When the barometer drops, bring those funky ankle boots of the season into the mix. 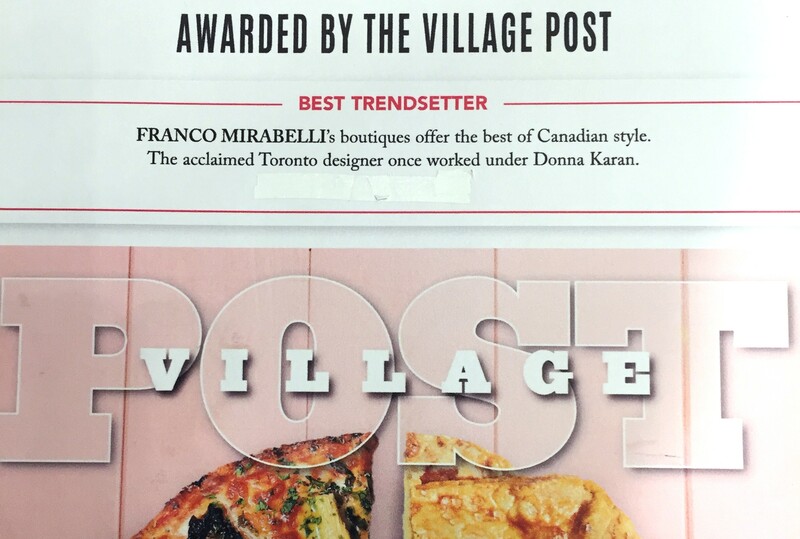 Franco Mirabelli awarded Best Trendsetter of 2018 by the Village Post.